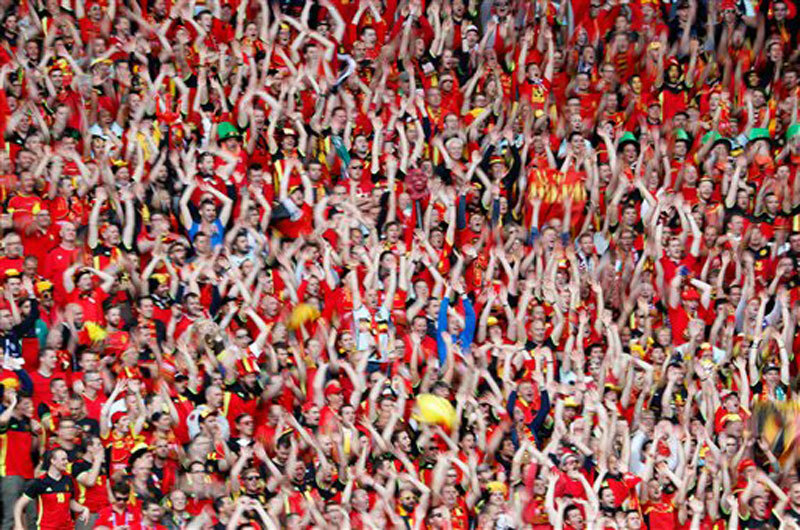 BORDEAUX, France, June 18: After a poor start to the European Championship, Belgium began living up to its promise on Saturday with a resounding 3-0 victory over Ireland. 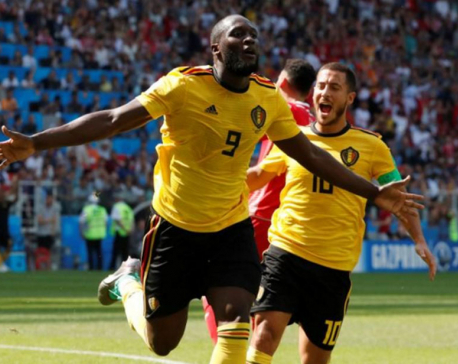 Romelu Lukaku scored two second-half goals as Belgium's much-vaunted attack finally sprang to life after a disappointing display in the opening 2-0 loss to Italy. "I'm very happy for the team, you know," Lukaku said. "I think it was very important for us to win today, to deliver a good performance after the game against Italy, which was a setback. "Sometimes you need a setback, because we have a young squad. It's good because we faced the reality. We knew that Italy's a good side, they showed it against us. Now we are awake and have to become even better after the performance of today." Having earlier wasted a series of chances, Belgium — one of the tournament favorites — started the second half strongl​y and it wasn't long before the team went ahead. Lukaku struck in the 48th minute after a swift counterattack that owed much to Kevin De Bruyne's burst down the right flank. Lukaku controlled De Bruyne's square pass before driving the ball low into the bottom left corner from the edge of the penalty area. Axel Witsel doubled the score in the 61st, when he jumped above Ireland midfielder James McCarthy to crisply head in Thomas Meunier's cross for his first international goal in nearly two years. Ireland went on the attack in an attempt to claw back the arrears, but the team was once again caught out by a pacey Belgian counterattack. Eden Hazard raced down the right from inside his own half before squaring for Lukaku, who slotted the ball past Ireland goalkeeper Darren Randolph in the 70th. Witsel, who was named man of the match, said the first goal was the key. "What's important is the team's mentality," he said. "We didn't give them anything in the first half. At halftime, we spoke a lot about passion." 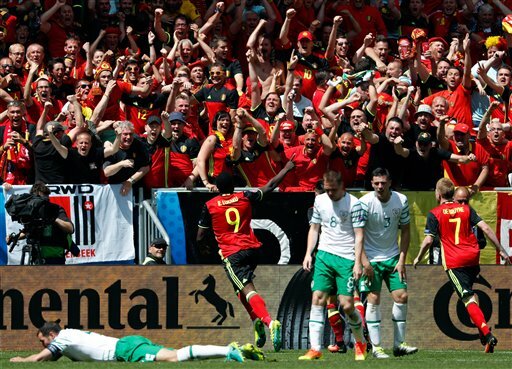 Belgium now has three points from its two games in Group E, while Ireland has one. Belgium plays Sweden next and a draw would most likely seal the team's qualification to the round of 16. "We have a game to win and we have to throw everything into it," coach O'Neill said. 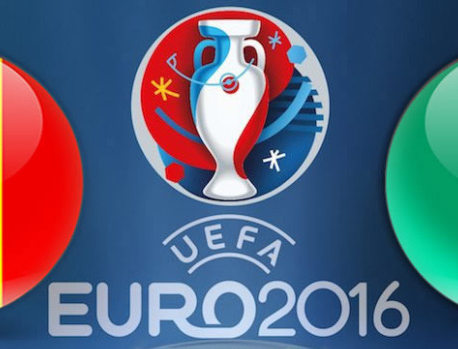 In the 24-team format that's being used at Euro 2016 for the first time, four third-placed group teams will qualify for the round of 16.